Teeth In A Day Dental Implants have changed the way teeth are replaced. 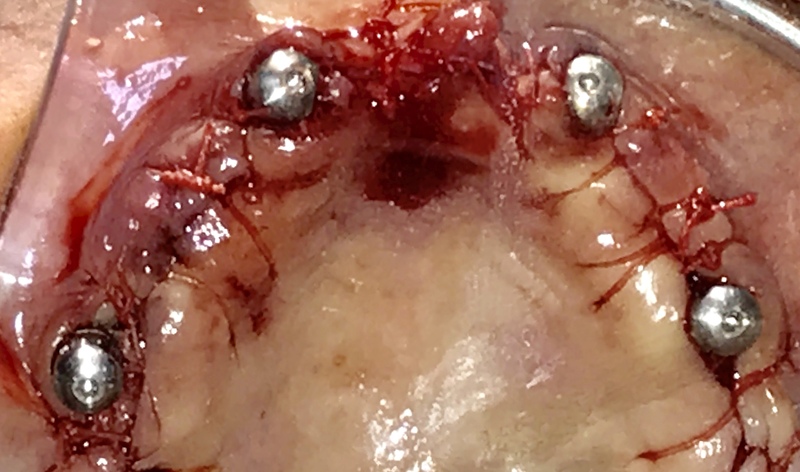 More and more patients are benefiting from enhanced techniques like ALL ON 4. In this 4-6 Dental Implants are used to provide Fixed Teeth in the entire jaw. The treatment gives an opportunity to have teeth immediately within 24-72 hrs of extractions. This is how it gets the name Teeth In A Day. 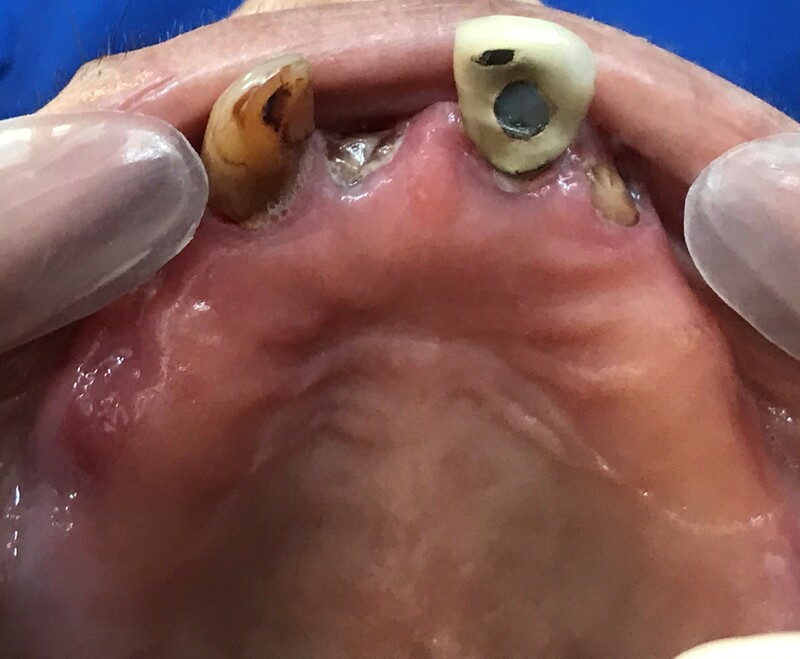 All the failing teeth were extracted at one go. 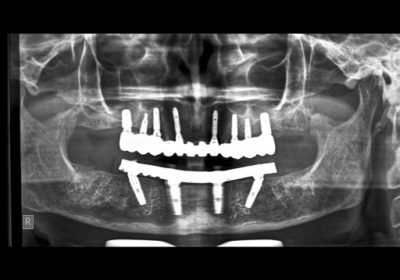 Immediately specialised implants were placed at precise location and angulations. 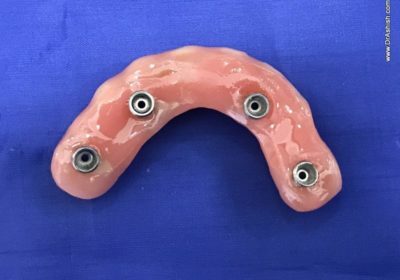 Prefabricated / existing denture was then attached to these Implants. 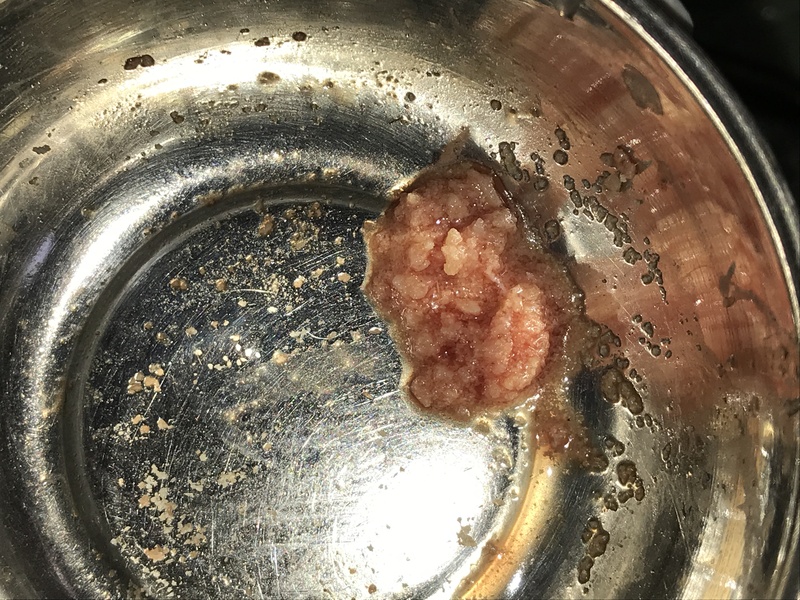 The entire procedure was completed within 24 hrs. The final prosthesis will be constructed after 3 months. 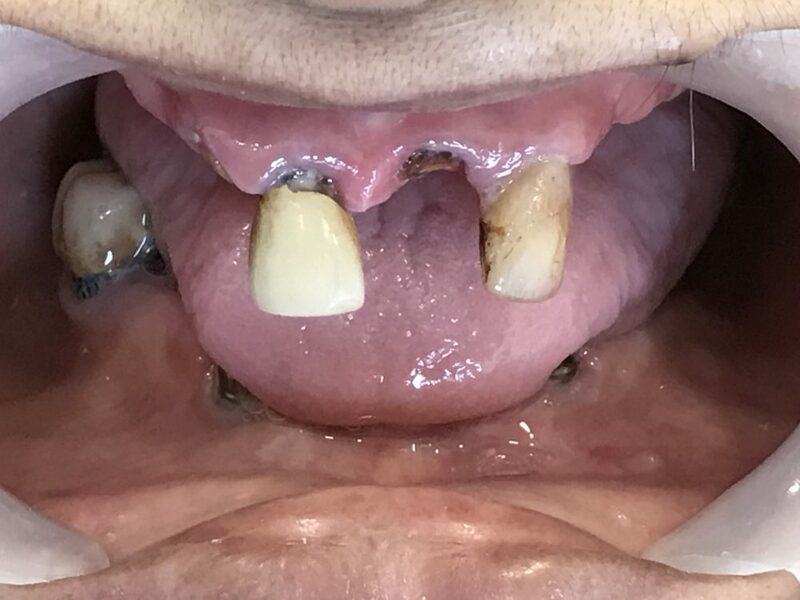 A 70-year-old lady visits us with 2 front teeth in her upper jaw. She wears a removable partial Denture that also only for her front teeth. She cannot tolerate the palate extension and hence is been wearing only front teeth. 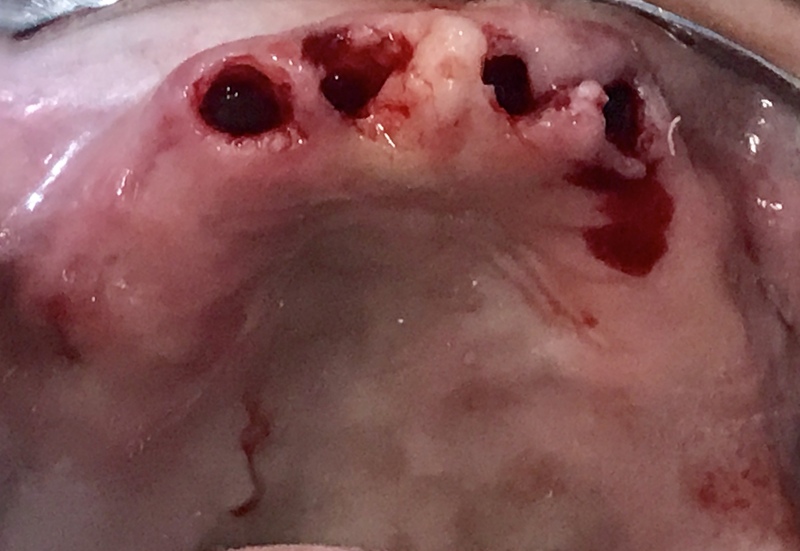 She has no bone in her posterior jaw region and Dental Implants cannot be placed without Sinus Lift Surgery. 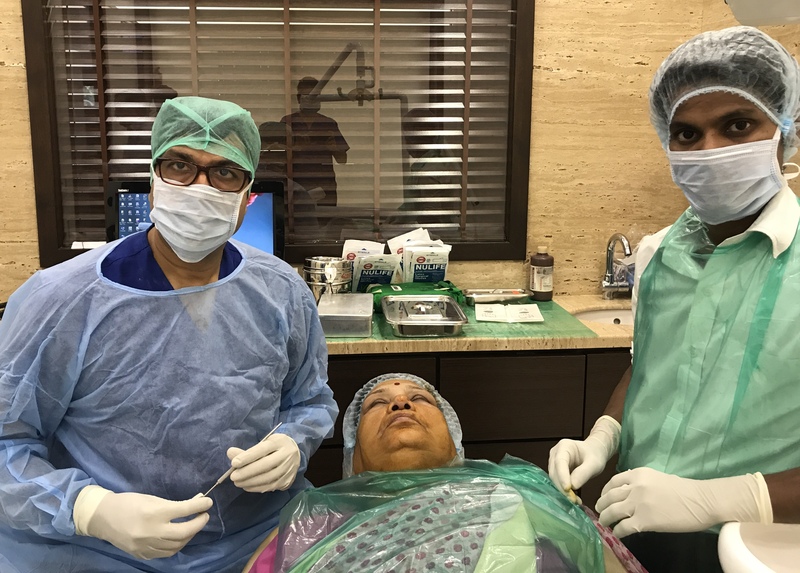 She has undergone bypass surgery and was reluctant to undergo grafting procedure like Sinus Lift Surgery. After carefully planning the case. 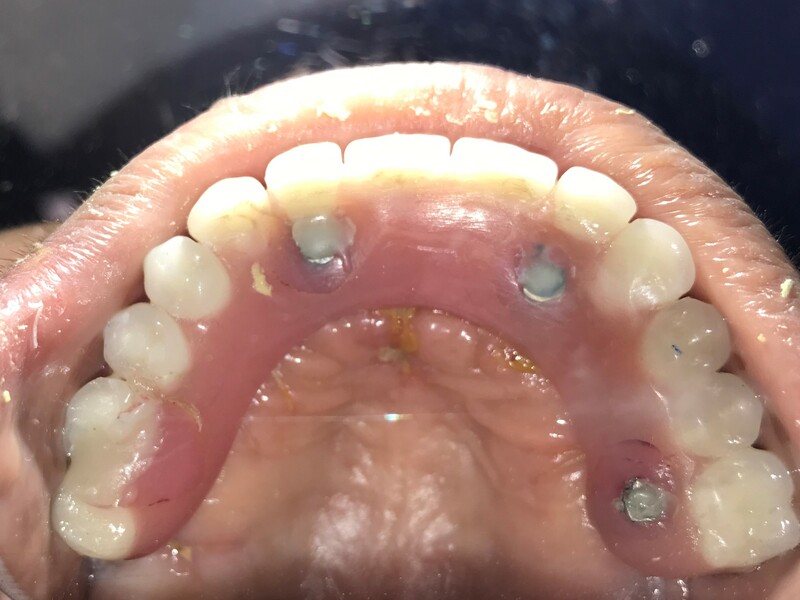 She was treated with ALL ON 4 Dental Implant technique. 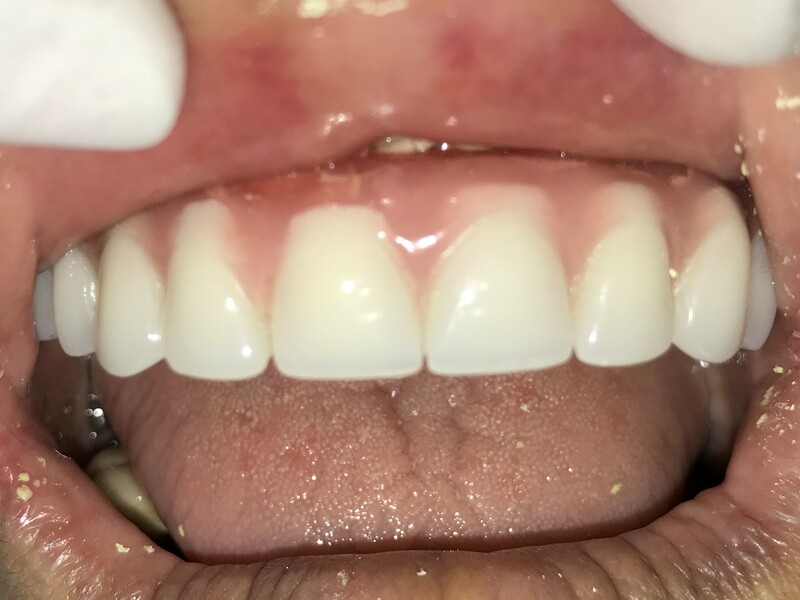 She got Screw Retained Fixed Teeth within 24 hrs! 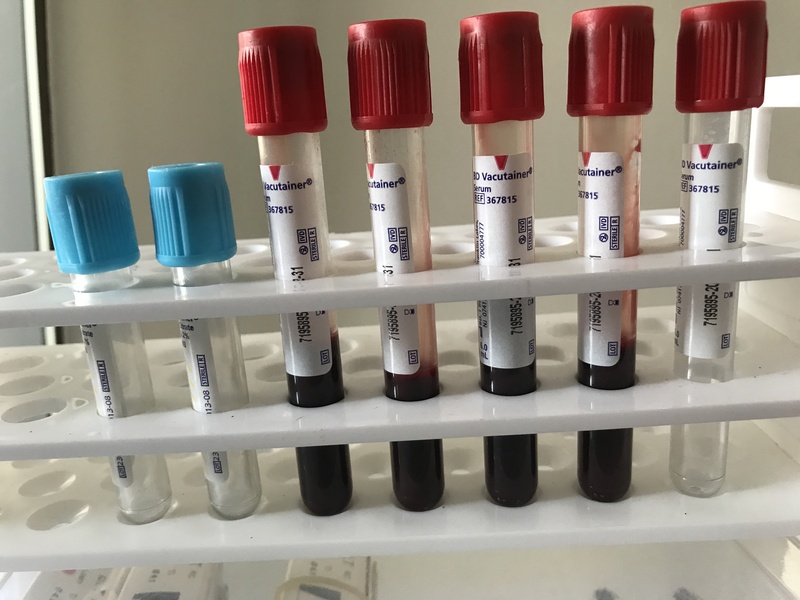 We collect and use patients own blood to generate plasma rich growth factors to make good quality bone in the shortest time possible. 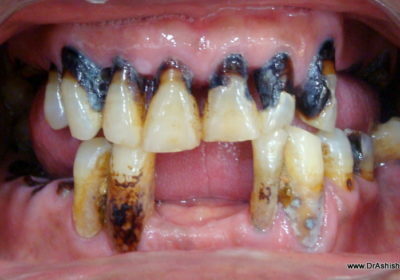 This provisional set of Teeth will be replaced by permanent CADCAM Titanium Bar supported teeth in next 3 months. 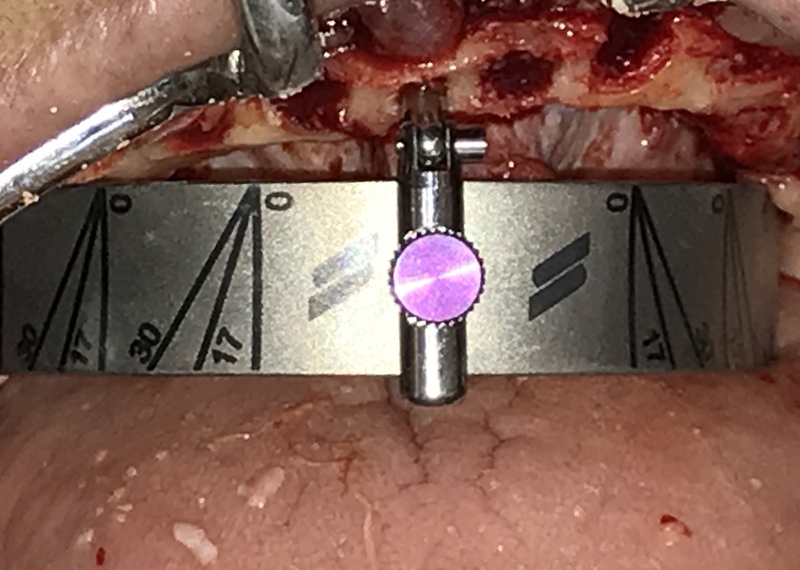 Screw - Retained Bridge in 24 Hrs.